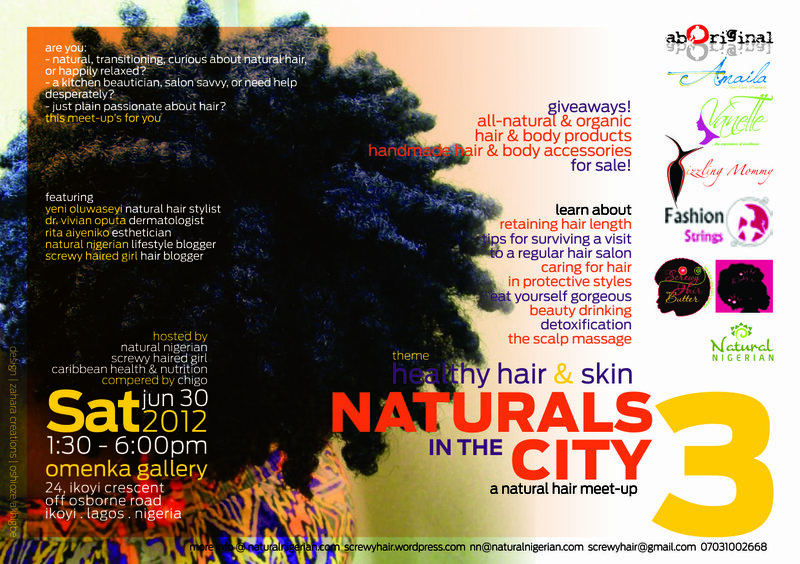 Deepbrown & Kinks: NATURAL HAIR MEET-UP LAGOS(NITC3): THIS SATRDAY!!!! 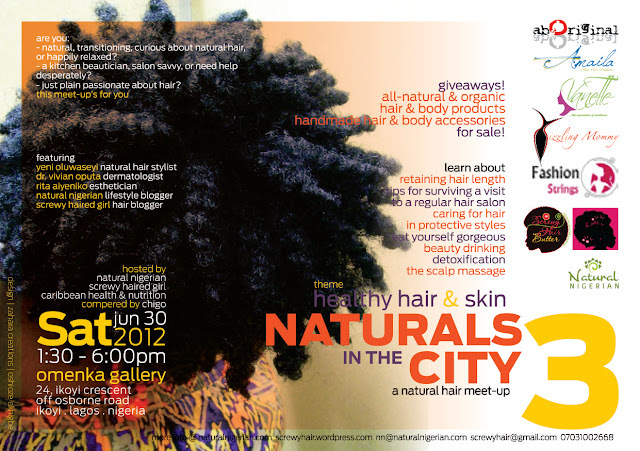 NATURAL HAIR MEET-UP LAGOS(NITC3): THIS SATRDAY!!!! Make I no too talk...the flyer says it all! 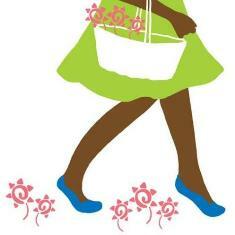 Sadly, I can't be with you lovely ladies. So please take fine-fine pictures and share with me o.